Being Churches Together means commitment by each church and denomination in the local area to deepen its fellowship with the others and, without losing what makes each interestingly different, to work with them towards a greater visible unity. 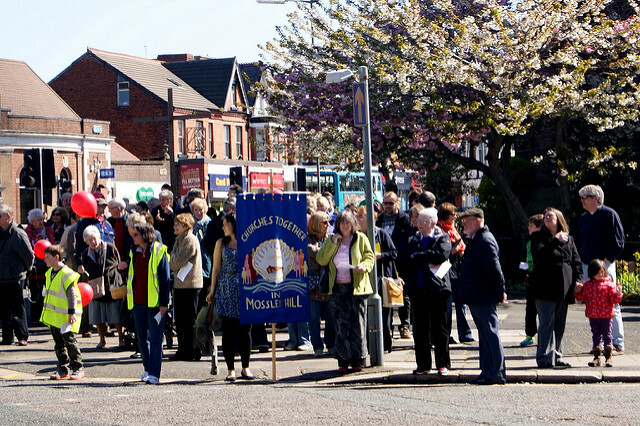 Churches Together in Mossley Hill serves a variety of churches, with their own characteristics. For many years we have been actively sharing and working together in a variety of ways, including the Week of Prayer for Christian Unity, Christmas Events and the Good Friday Walk of Witness. As people united in Jesus Christ, we believe and trust in God the Father, God the Son and God the Holy Spirit. We recognize and respect our differences, but celebrate all that we have in common, and seek to grow closer in Christ. Together we can support each other and seek to work together in our community, sharing the Good News of the transforming love of God. For mor information about Churches together in Mossley Hill, please visit the website.